Mercedes young driver George Russell stole the glory from Ferrari on the second day of the Hungaroring testing, setting a new unofficial track record on Pirelli's hypersoft tyres. Russell was working on both days for Mercedes, but while his first day was compromised by gearbox issues, he could hit back with a total of 103 laps on Wednesday. Mercedes ordered lots of sets from the hypersoft compound, so Russell could go through several qualifying simulations on the softest Pirelli rubber. The Briton, improving steadily throughout these one-lap performance simulations, ended with an unofficial track record of 1:15.575. Even if just under a tenth faster, that lap time made Tuesday’ best time set by Ferrari’ Antonio Giovinazzi a thing of the past. Kimi Räikkönen took over from the Italian young development and simulator driver. The Finn set the pace in the morning session and was posting a string of very strong times on different compounds. He set the overall best on hypersoft at the very end of the test session, but his time of 1:15.8 on the soft compound was probably the most remarkable. Former single-seater driver, current Blancpain driver Jake Dennis secured third place, driving for Red Bull Racing. The Briton was with Kimi Räikkönen the most diligent driver, both of them covered a total of 131 laps apiece. After topping the timing sheets for Ferrari on the first day, Antonio Giovinazzi jumped into Sauber’s C37 on Wednesday. The Italian, using the hypersofts, posted a lap time of 1:17.555 which propelled him to fourth place. Nikita Mazepin shot up to fifth. The Russian’s Force India came to a halt two times during the day. Fortunately, the Silverstone-based team could quickly find remedy for those technical gremlins. 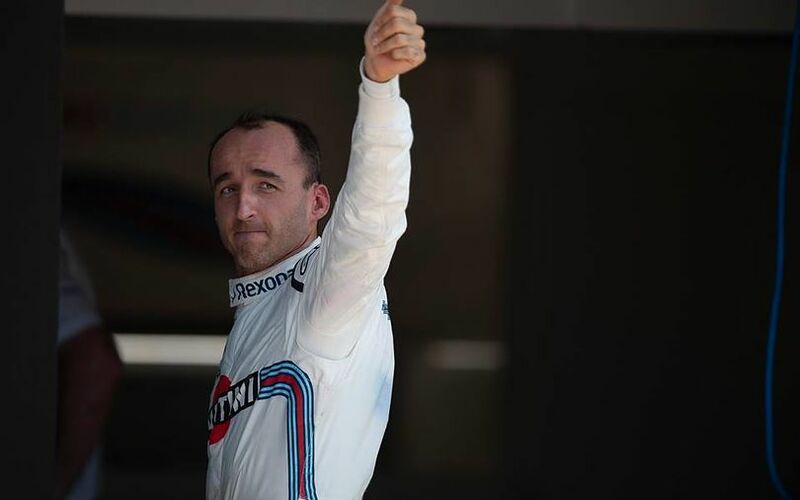 Robert Kubica was second fastest after the morning session, but he did manage to improve his lap time later on, thus fell to sixth in the final standings. The Polish driver dedicated the first and last hours of the testing to evaluate Williams’ 2019 front wing design. McLaren’s Lando Norris completed only 73 laps and ended the day with his time of 1:18.472 seventh fastest. Artem Markelov drove for Renault. The Russian had the chance of completing more performance runs on the hypersoft compound in the closing stages of the test day. Toro Rosso’s trio of Sean Gelael, Pierre Gasly and Brendon Hartley ended the day at the foot of the times. The team’s two official drivers were conducting tyre testing with Pirelli while the Indonesian driver was focusing on the team’s own development programme.